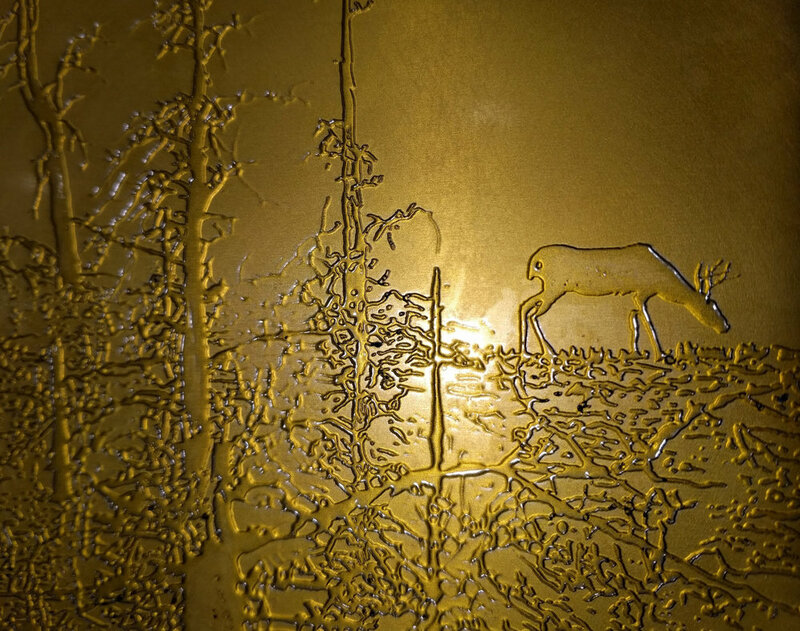 Viviane le Courtois and Christopher R. Perez at Processus inspired me to create solar etchings. 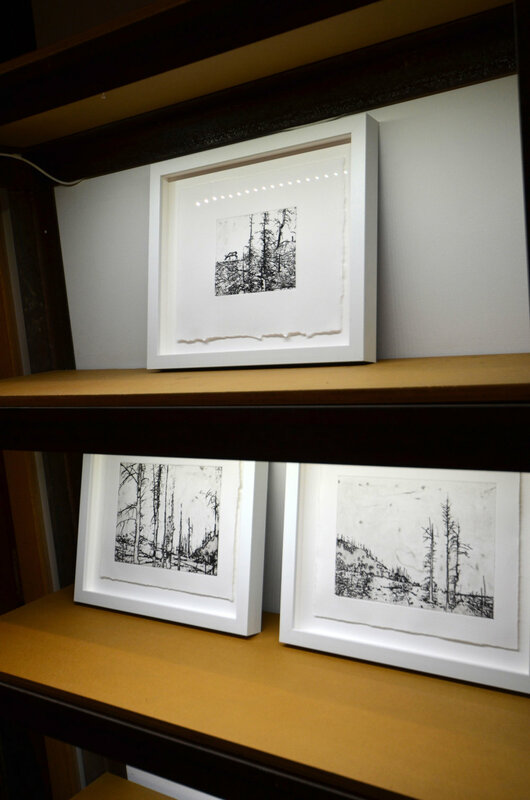 Solarplate etching is an eco-friendly alternative to traditional etching. My ink paintings on transparencies were layered onto a light sensitized steel backed polymer plate. UV light (or sunlight) etches the plate and then it's washed with tap water. With Viviane le Courtois and Christopher R. Perez's assistance, their UV light, and press, I created solar etchings and now I want to create more! 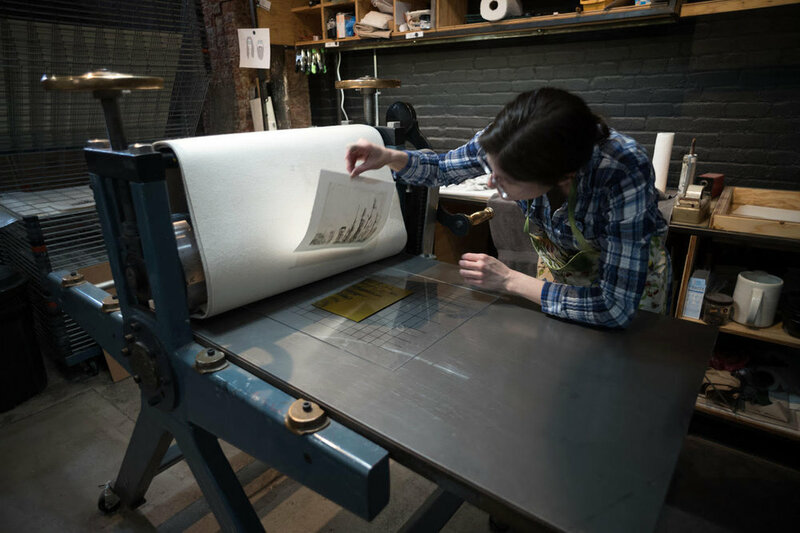 The prints are on view at Processus' Altered Nature exhibition through May 19th. Here are some photographs of the process as well as Altered Nature's reception which was also Processus' three year anniversary celebration. Charcoal Remnants at "Altered Nature"